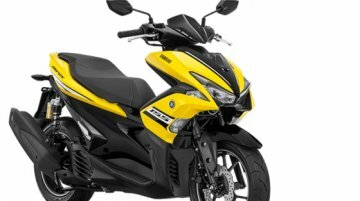 Yamaha Motor Indonesia has updated the Yamaha Aerox 155 R-Version with two new colours- Matte Silver and Racing Yellow. Yamaha believes the new colour options will help attract more customers. 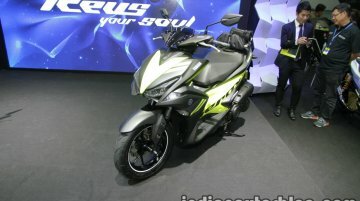 The..
Yamaha Thailand at the 33rd Thai Motor Expo has launched the Yamaha Aerox 155 in Thailand. 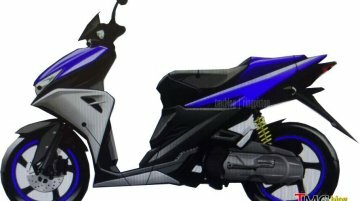 The automatic scooter was first unveiled in Malaysia in October 2016, where it is sold under the name Yamaha..
Would be Yamaha's flagship 125 cc scooter in Indonesia. IwanBanaran reports that dealers in Indonesia have starting taking orders for the Yamaha Aerox 125 LC. It is believed to be priced around..
Expected to launch in the coming weeks. 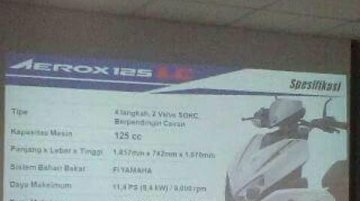 The specifications of the Yamaha Aerox 125 LC have been leaked online via a spyshot of the product presentation slide. 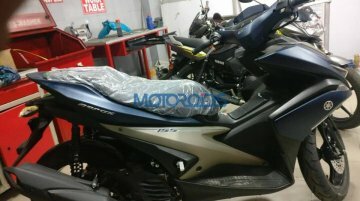 The price of the model is rumoured..
Is codenamed Yamaha BE1. 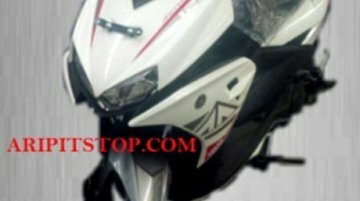 TMCBlog reports that the Indonesian market will receive the Yamaha Aerox 125 cc scooter in 2016. The publication has posted some rendetions and leaked images which reveal..